The development of the Internet has changed the environment forGeographical Information Systems (GIS), with the emphasis shiftingfrom analysis to the sharing of data and information over theInternet thus making GIS more mobile and powerful. The GeographyMark-Up Language (GML) was developed as the standard language andis emerging as the foundation for Internet GIS. 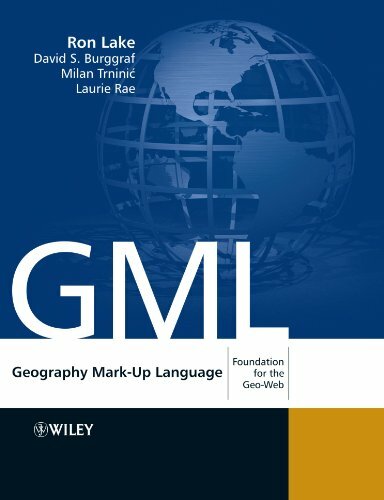 GeographyMark-Up Language: Foundation for the Geo-Web provides a broadcoverage of the use of GML in different application areas, alongwith the technical means for building these applications. Starting from the basic concepts, this book works through allthe important topics in both GML 2.0 and GML 3.0, withillustrations and worked examples to demonstrate its use. Organizedinto two sections, Volume I introduces readers to the new world ofGML, and explains how it can be used across a broad range of GISprojects. It deals with the basic concepts of XML and GML, andenables readers to make decisions on the utility of GML in theirprojects and software acquisitions. Volume II is intended for thetechnical reader and answers questions on the meaning and structureof GML schema components, the development of GML applicationschemas, and the use of GML in connection with web services, legacyGIS and relational databases. This book is a must have for GIS vendors, systemintegrators and data providers; local/state/provincial and nationalgovernment agencies; utilities and telecommunication companies;location-based services companies; data distributors; softwaredevelopers and technical managers. It would make an excellentreference for mid and upper-level undergraduate students andMasters students taking technical GIS modules as part of a GIS orTechnical Geography programmes.